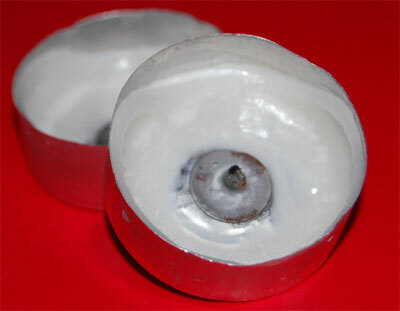 During christmas we used tealights. It was a brand we have used previously. Much to our surprise the tealights were lousy. They could hardly burn and as you can see from these pictures they left a lot of unused stearin. Needless to say – but this was the last time we used this brand. 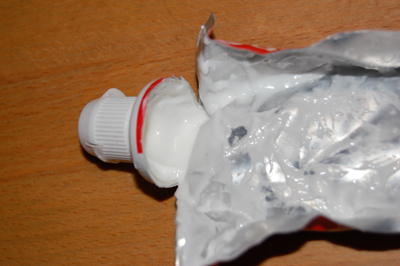 As you can see still a lot of toothpaste left. 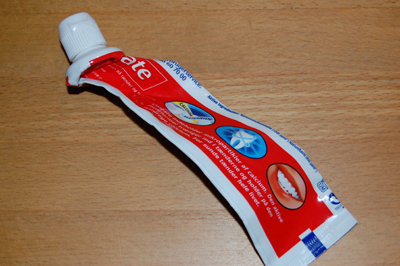 The more effort is put in emptying the toothpase tube the less waste. The example is generic and can be deduced to any tube we use. By thinking of it, we will reduce the load on our dumping grounds and the ressources used to produce the product. As mentioned earlier the amount of waste from the tube is your responibility. If the tube is designed in a way that causes excess waste then perhaps you ought to find an alternative. Please post your examples. Recently I trashed my shaver. 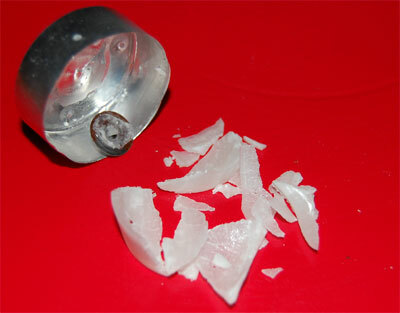 It had served me for several years and the reason for trashing it was the rechargeable batteries was leaking. The reason for this post is another – the cord. After a few years I was unable to get any power to the shaver. The reason was the plug for the shaver. The box I kept the shaver in made a sharp bend on the cord right above the plug. This caused the wire to break. I had another cord from an older shaver and from that time I no longer kept the cord in the box. The shaver served me for many years after that. Wastegeneration: 1 meter of copper and plastic. We buy products every day. We consumes a lot. And we produce a lot of waste. Often more than necessary. It is our responsibily to reduce our waste as much as possible. So whenever you have a product in your hands it may be a good idea to think of weaknesses in the product. What do you need to do for the product to last for as long as possible? Welcome to Wastegeneration. This is my first post. It all depends on you. If you buy something or you dump something its up to you. You are the one responsible for any wastegeneration. Buy a product which signals bad quality and for sure you will very soon need a replacement – and the old one ends up as waste. The focus in this blog will be on how we can reduce the waste – and take on the responsibility.